The Australian Shepherd is not from Australia, in fact, the breed is thought to have come from the Pyrenees Mountains between Spain and France. This breed has had several names including Spanish Shepherd, Pastor Dog, Bob-Tail, Blue Heeler, New Mexican Shepherd and California Shepherd. Their coats can be black, blue merle, red merle, and red with or without white markings, with or without docked tails. As a member of the Herding Group, the AKC recognized the breed in 1991. They range in size from 18-23 inches at the withers and live for their work making them perfect for herding, farm dogs, agility, search and rescue, disaster dogs, guide, service and therapy dogs. 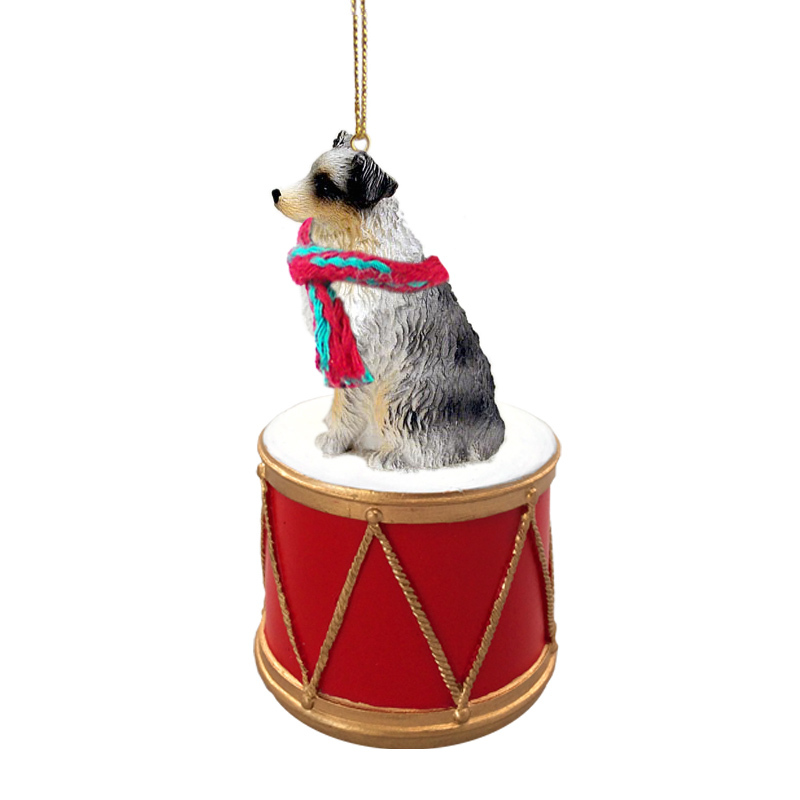 Using our detailed, breed specific, hand painted Tiny Ones figurines; we carefully mount a gold tone eyelet and gold tone cord so you can display your favorite breed anywhere, like your Christmas tree, or rear view mirror. Each figurine is wearing a warm winter scarf, which can be removed in the summer! Individually packaged and labeled, these little decorations are ready to give as a gift for birthdays or holidays, or hang in your store!